FoneWire collects information about you in the following ways: when you use the FoneWire Application, some information is stored about you on FoneWire’s servers, when you use the FoneWire Application to send or receive Assets, FoneWire saves these transactions, and when you share information with others, FoneWire also saves this information. Moreover, if you connect your account with Facebook, then FoneWire may also collect information through Facebook. FoneWire also may scan the blockchain to fetch other transactions. What Personal Information Does FoneWire Retain? FoneWire retains your phone number, your IP address and your approximate geolocation, which it receives when you signed up. It also may retain your name and other personally identifiable information you directly submit it. If you connect your Facebook Account, FoneWire may retain your name, user ID, profile picture, gender and network; as well as information relating to your language and country, your timezone and whether you are a verified user. FoneWire also saves a list of your Assets and the use of your Assets (such as when you ride the bus). Please note that when you install the FoneWire Application, it also transmits and saves your mobile phone’s contact list. This is made in order to compare your list with the existing FoneWire users, and to let you send them Assets through their phone number. What Non Personally Identifiable Information Does FoneWire Retain? FoneWire retains statistic, aggregated, non personally-identifiable information about your use of the Application and services, such as your “hot zones”, the number of times you opened the Application, your stay time, and similar information. FoneWire’s employees and contractors, who are under strict confidentiality obligations, have access to this information. Moreover, the Asset issuers who send you Assets, as well as your friends and contacts who send you Assets (or receive Assets from you), may receive some of the information, all according to the FoneWire Platform’s functionality. FoneWire may also use aggregated, non personally identifiable information for research and improvement of the services. Lastly, please note that as the FoneWire Platform is based on the blockchain, everyone who has your public key may have access to your public information. FoneWire uses a selected number of third party service providers who have limited access to the information under strict confidentiality obligations. These are Parse, Twilio, Bitcoinj, Github and Amazon. How Can You Review Your Information? There are a few ways to review your information. First, by using the blockchain itself. Second, by sending FoneWire an email requesting to review your information. Third, you may view everything through the Application itself. FoneWire may use your contact information to contact you regarding the services, as well as provide you with relevant information and promotional material. You may always opt-out of these notifications by notifying FoneWire. FoneWire may amend this policy from time to time, and shall notify you upon such changes. What Can You Do If You Feel Your Privacy Was Invaded? If you feel your privacy was invaded, please contact FoneWire’s privacy officer at privacy@fonewire.co.uk. FoneWire’s privacy officer shall inspect the complaint and public periodic reports with aggregated, anonymous data. The Services are not structured to attract children under the age of 13 years. Accordingly, FoneWire does not intend to collect personal information from anyone it knows to be under 13 years. If FoneWire learns that it has collected personal information from a child under 13 years, FoneWire will delete that information as quickly as possible. If you believe that FoneWire might have any such information, please contact FoneWire at privacy@FoneWire.co. 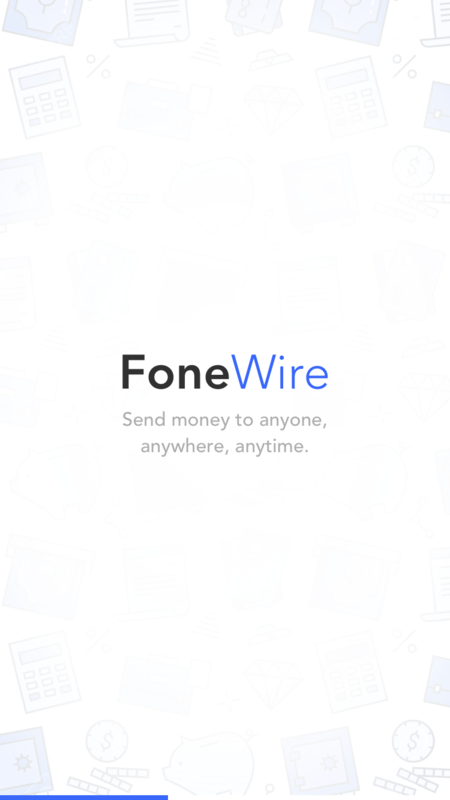 In the event that FoneWire is acquired by or merged with a third party entity, or in the event of bankruptcy or a comparable event, FoneWire reserves the right to transfer or assign personal information in connection with the foregoing events. Deletion of Content from California Residents. If you are a California resident under the age of 18 and a registered user, California Business and Professions Code Section 22581 permits you to remove content or personal information you have publicly posted. To remove, please email privacy@fonewire.co.uk . Please be aware that after removal you will not be able to restore removed content. In addition, such removal does not ensure complete or comprehensive removal of the content or personal information you have posted and that there may be circumstances in which the law does not require FoneWire to enable removal of content.